A federal judge has ordered the government to remove children from the Shiloh Treatment Center near Manvel, Texas, unless doctors say they are a danger to themselves or others. The facility has been paid $26 million since 2013 by the federal government to house migrant children. The company that operates the facility south of Houston has a history of problems, including deaths of children in its custody. A judge has ordered the federal government to stop drugging immigrant children without proper consent and to remove them from a problem-plagued south Texas shelter. 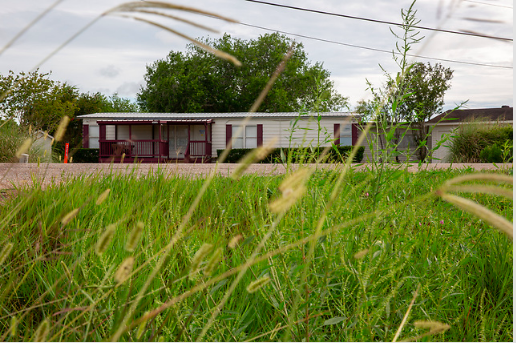 The judge’s order, issued in a federal court in California as part of a long-running class-action case, affects about 25 immigrant children held at Shiloh, a collection of small buildings and trailers on rural land south of Houston with a troubled history. Shiloh has contracted with the federal government to house immigrant children labeled as “special needs minors” since 2013. Last year, the most lucrative yet under its agreement, Shiloh collected $5.6 million. Reveal from The Center for Investigative Reporting first reported on the allegations of forced drugging at Shiloh last month. Children have described being held down and injected with psychotropic drugs, according to federal court filings. 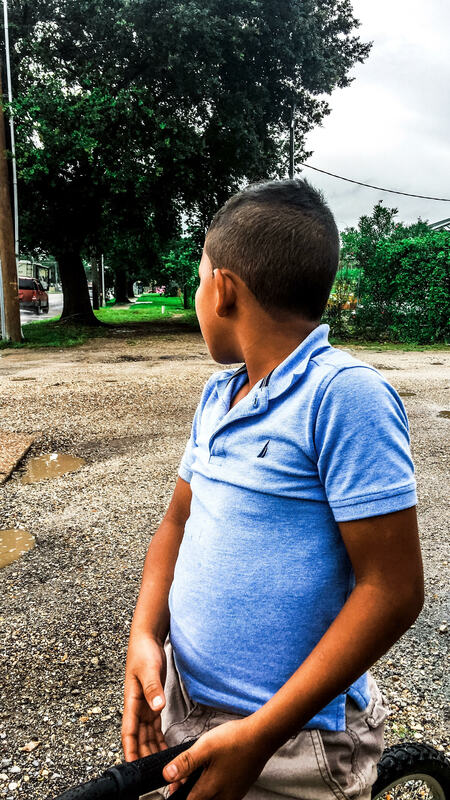 It’s unclear whether children at Shiloh were part of a larger group separated from their parents at the border because they are not the only children in custody. Thousands of children who were detained after they arrived unaccompanied are also covered by a federal court case known as the Flores lawsuit. Monday’s ruling came in that lawsuit, first filed against the government decades ago by immigration rights groups and settled in 1997. The attorneys came back to court about 18 months ago, alleging that the government was violating the settlement agreement by mistreating immigrant children. “The level of security at Shiloh RTC in Manvel, Texas violates the Flores agreement because it is a locked facility with 24-hour surveillance and monitoring,” her order states. From now on, the judge ruled, immigrant children cannot be medicated without either their parent’s permission or a court order, or without following Texas law on administering such drugs on an emergency basis. The judge set an Aug. 10 deadline for attorneys in the case to work out details including housing arrangements for the Shiloh children. In the meantime, the judge ordered Shiloh to stop denying children drinking water as a “security measure” and also said the children must be allowed to make private telephone calls. The judge’s limitations on drugging immigrant children could also protect children at other shelters around the country. “The judge’s decision is a bellwether,” said Carlos Holguín, general counsel for the Los Angeles-based Center for Human Rights & Constitutional Law, which investigated the drugging allegations. “We can go and investigate other places where (the government) is keeping kids, and if they turn out to be like Shiloh, the order applies,” he said, noting that immigrant children also are being held in similar facilities in New York, Virginia and California. Reveal’s investigation uncovered the fact that Shiloh’s psychiatrist practiced without board certification to treat children and adolescents for nearly a decade. Such certification is not required but attorneys for the government claimed the doctor had the special credential. Attorney Holly Cooper, co-director of the Immigration Law Clinic at the University of California, Davis, said Reveal’s investigation “had everything to do” with Monday’s ruling by raising awareness of problems at Shiloh. The ruling cheered local activists who held a “Shut Down Shiloh” rally last weekend in the nearby town of Pearland. As Reveal has reported, court records filed in April show that children at Shiloh have complained that they were dosed with drugs that make them dizzy, obese and incapacitated. Some children at Shiloh said they were held down and forcibly injected when supervisors thought they were misbehaving, records show. Other kids said they were told they would not see their parents unless they took the drugs. The drugging of the children was medically inappropriate and “like the old Soviet Union used to do,” he said. Shiloh’s longtime operator, Clay Hill, hasn’t respond to repeated requests for comment. On its website, Shiloh has posted a statement saying that it has been investigated repeatedly and found innocent of wrongdoing. But the company’s statement failed to mention a host of serious issues at both Shiloh and a companion facility operated by the same ownership. A companion facility, Daystar, was shut down by state regulators in 2010 after four children died while being forcibly restrained by the staff. In 2014, a Houston Chronicle report on alleged child abuse at the center led two members of Congress – Republican Pete Olson and Democrat Sheila Jackson Lee – to demand that Shiloh be shut down. Instead, the U.S. Department of Health and Human Services continued sending children and funds to Shiloh – more than $19 million after the lawmakers called for its closure, according to federal payment records. Olson said he was heartened by the court’s ruling. “For five years, I have repeatedly asked Shiloh and ORR for information about allegations of patient abuse,” he said in a statement. “For five years, I have run into a wall of silence. The Office of Refugee Resettlement didn’t respond to a request for comment. In court filings, attorneys for the agency have said they are abiding by the Flores agreement and federal law related to treatment of immigrant children. It’s unclear whether the judge’s order means any children will remain housed at the facility after the immigrant children are moved. Texas officials said Monday there are no children in state custody at Shiloh. However, they have not said whether the facility holds children from other states. Reporter Aura Bogado and reporter and producer Neena Satija contributed to this story. Gee’s order found the government violated multiple parts of the Flores lawsuit agreement due to conditions at Shiloh and treatment of children there.